Chimney Rock is a village in Rutherford County, North Carolina, United States. The population was 175 at the 2000 census. 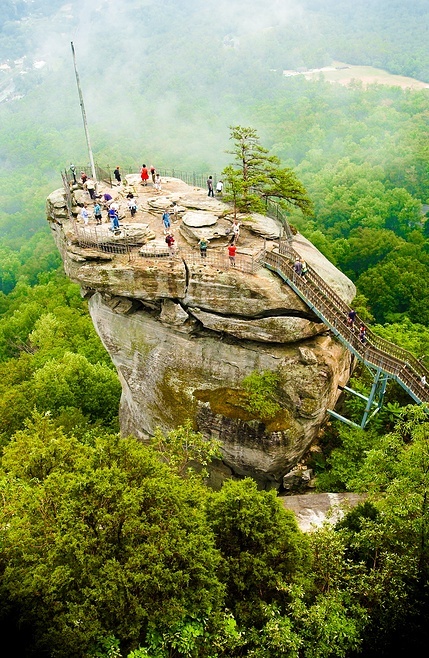 The village takes its name from a large granite outcropping located on a summit above the village itself in Chimney Rock State Park.As of the census of 2000, there were 175 people, 74 households, and 50 families residing in the village. The population density was 63.3 people per square mile (24.4/km²). There were 200 housing units at an average density of 72.3 per square mile (27.9/km²). The racial makeup of the village was 94.86% White, 0.57% Native American, 2.29% from other races, and 2.29% from two or more races. Hispanic or Latino of any race were 4.00% of the population.